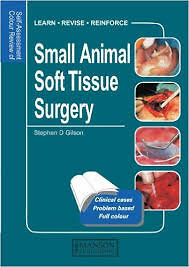 Compiled by an international group of authors using clinical case presentations, this book covers all aspects of soft tissue surgery including perioperative patient management, and surgical preparation and technique. The cases are presented to test the reader with surgical problems and to discuss common complications and sources of error in clinical management. All the organ systems are included: skin/adnexa, body/trunk, head/neck, cardiopulmonary and thoracic, gastrointestinal and abdominal, urinary tract, reproductive and endrocrine systems. The questions, integrated with superb colour illustrations, allow readers to participate in each case as much as possible, enabling them to consider fully each problem before the answer is revealed. This book will provide an excellent, interactive way to learn for veterinary students, and will also be of use to practising veterinarians in their continuing professional development by keeping them up-to-date with current recommendations for patient care.